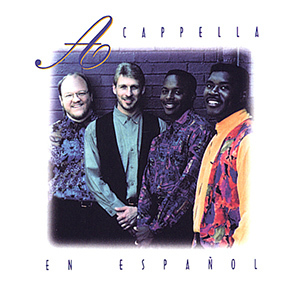 Ten of Acappella’s best, circa 1988-1994, in Spanish! Some of our friends from Mexico City came and tutored Acappella as they re-recorded some of the most popular and well-loved songs from the Acappella catalog. The result? An excellent Acappella release sung in, we are told, excellent Spanish. Muy bien!